The New York Lottery first began in 1967 and is one of the oldest modern US lotteries today. Additionally, it also happens to be the most profitable one in North America. On their official website, they state that their one and only mission is to provide funding for New York public education. To date, over $64 billion has gone towards that goal. Players can buy New York Lottery tickets from promotional events and any authorized retailer within the state of New York. For winning ticket holders, prizes must be claimed within 1 year after the drawing. Can I buy NY Lottery tickets online? Not exactly. Individual New York Lottery tickets can’t be purchased online. However, subscriptions to New York Lotto and Cash4Life are in fact, available over the internet. You can also try lottery agents like theLotter, but again, you will have to participate in (and purchase tickets for) multiple draws. New York Lotto is New York’s only rolling jackpot game. To win the top prize, players must match all 6 numbers drawn. There is a seventh bonus number, which is used to determining the second-prize winner(s). Drawings are held twice a week, every Wednesday and Saturday at 11:21 PM EST. If you like the sound of receiving $1000 every day for the rest of your life, then Cash4Life offers you the chance to win exactly that. You just have to match all 5 numbers drawn plus a bonus Cash Ball. Featuring bi-weekly draws, Cash4Life winning numbers are revealed every Monday and Thursday at 9:00 PM EST. Of all New York lotteries, Take 5 offers the biggest odds of taking home a prize. Players have an almost 1 in 8 chance to win something. To snag the top prize, players must match all 5 drawn numbers. Drawings are held everyday at 11:21 PM EST. In Numbers, players pick 3 numbers from 0 to 9, with the possibility of choosing the same numbers more than once. There are five wager types: straight play, box play, straight/box, combination, and pair play – allowing for multiple ways of winning. Numbers drawings are held two times a day, seven days a week, at approximately 12:20 PM and 7:30 PM EST. Win 4 is very similar to Numbers. It has pretty much the same mechanics and ways of winning, except that there are 4 numbers drawn. Drawing schedules are also similar, every day at approximately 12:20 PM and 7:30 PM EST. Quick Draw is New York Lottery’s version of Keno. Players can choose to play from just one number all the way up to 10. Winning drawings will always include 10 numbers, and prizes (as well as the odds of winning) are determined by how many numbers you pick. Drawings are every 4 minutes of every day. As its name would suggest, Pick 10 requires players to choose 10 numbers from a pool of 80 to play. Match all 10 numbers drawn and take the top prize, which is at $500,000. Drawings are held daily at 8:30 PM. Bruce Federman from Glen Head, won $7 million from playing Cash4Life, last November 30, 2018. John Genovese from Katonah, won $4.7 million from playing New York Lotto, last November 26, 2018. David Johnson from Brooklyn won $298.3 million from playing Powerball last January 25, 2019 — the second-largest Powerball win by a New Yorker in the state’s history. 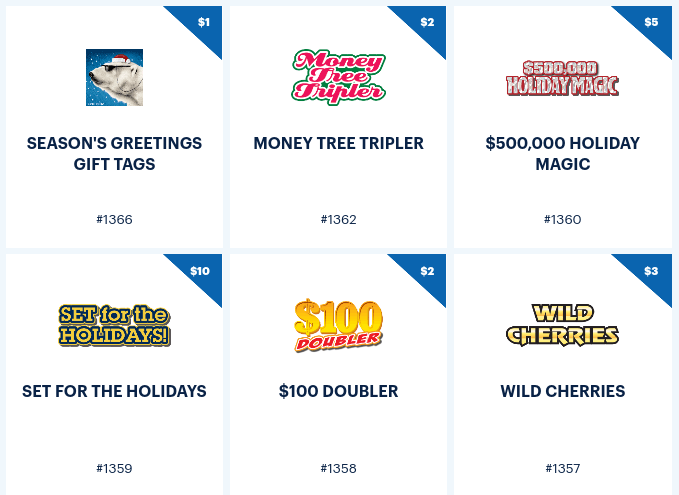 The New York Lottery gives players in need of a quick lottery fix with plenty of options for winning instant prizes. They have dozens of scatch-off games available at any given time, with ticket prices ranging from $1 to up to $30. Prizes also vary, just be sure to claim any winnings within a year after the official game end date. New York Lottery Second Chances – What is Second Chance? Second chance drawings provide players with non-winning scratch-off tickets more opportunities to win. Prizes include cash, holiday getaways, gift cards, and more. How does Second Chance work for the NY Lottery? For the New York Lottery, players who wish to enter second chance drawings must register an account with New York Lottery’s Players Club. Once successful, they may enter any eligible non-winning scratch-off tickets to qualify for the next drawing. The New York Lottery is headquartered in Schenectady, with multiple prize claiming offices scattered around the state of New York. 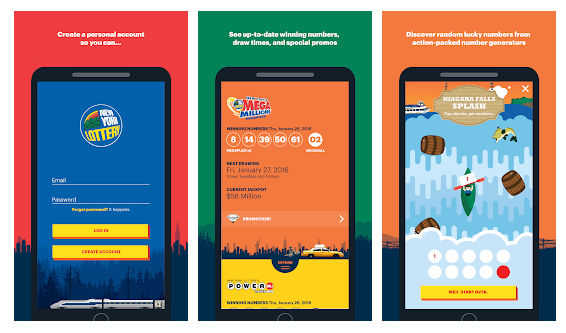 The New York Lottery provides an official lottery app for all Android and iOS mobile devices. With it, players have everything they need to enjoy their favorite games while on the move. View the up-to-date results, jackpots, draw schedules, and promos. Find your own lucky numbers. Search for the nearest authorized ticket sellers. Follow your favorite games and get regular updates. Want to find out what the current New York Lottery winning numbers are? You can visit Lottery USA for more up-to-date information on the latest New York Lottery results. There you’ll find news on all New York Lottery draw games – including winning draws, jackpot size, next drawing dates, and more.